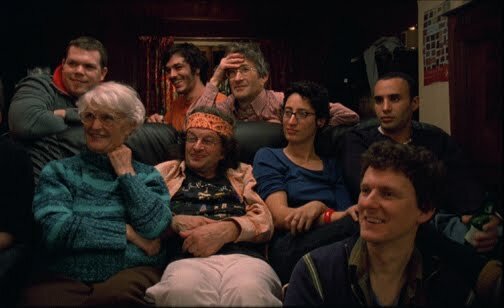 tations to have a US theatrical release -- Michel Gondry's THE THORN IN THE HEART -- opens this week via Oscilloscope Laboratories, and a welcome release it is. 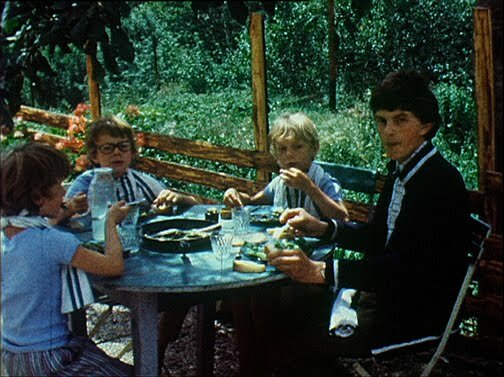 While we've come to expect the unusual from M. Gondry, you may not be prepared for this filmmaker in a documentary mode. What he does with the form is both expected and not. He looks at his family, particularly at his aunt Suzette and her odd and troubled son Jean-Yves, and the gaze seems loving but distanced. Gondry (shown at left) is all over the place: back and forth in time, chatting informally, looking through old scrapbooks, talking to family and friends both close and not so, along with some old acquaintances. 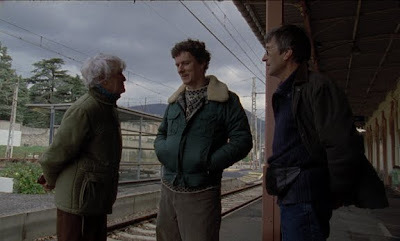 The result is sometimes appealing but also stand-offish, as though the filmmaker were somewhat frightened -- at least rather reticent -- about getting too close or having to deal directly with this situation, which, like life, proves anything but simple. As we view the family then (above) and now (below), we learn a number of things: that Aunt Suzette was a school teacher, and apparently a good, if stern one, in her day; that she took into the school Algerian children for a time (I believe from those families who had fought for France during the French-Algerian War: boys only, as the girls -- a shame on this culture -- don't go to school); that the family owned and worked a saw mill in the area; and that Aunt Suzette likes to laugh a lot, so much so that we begin to wonder if she feels that laughter might somehow absolve her of all that has come before. 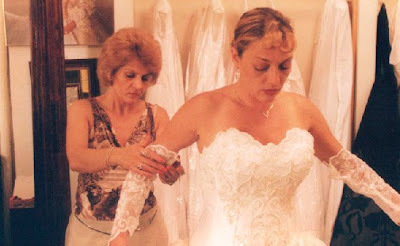 We learn, too, that her son, Jean-Yves is gay and how this affects the family. That school, even back then, had its own dedicated screening room -- which must have meant something special to this filmmaker. Part of the movie seems almost a faux film about making the movie. 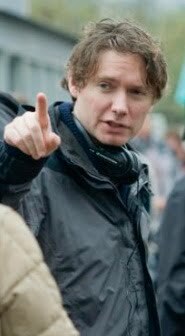 But of course it does, for this is Gondry -- who has give us bizarre and inventive creations like Be Kind Rewind, Eternal Sunshine of the Spotless Mind, and The Science of Sleep. The documentary will likely be a "must" for the movie-maker's completists, perhaps less so for others. I find that, now, five weeks after first seeing The Thorn in the Heart, so amorphous has it become that few details have stuck with me; even the notes I took during the screening don't always make much sense. And yet what remains -- the feelings I have about the filmmaker, his family and the film itself -- are quite dear, almost cozy. Fortunately, more of us will have the chance to weigh-in soon, as Oscilloscope is releasing the film this Friday, April 2, here in New York at the Village East Cinema, with other cities to follow: at this point Madison, WI (as part of the Wisconsin International film festival, on April 15; and in Los Angeles on May 14 at Laemmle's Sunset Five Cinema. A DVD release, the distributor assures us, is also in the offing. Click here for further information. Must Academy Award-nominated performers such as Thomas Haden Church sign on to executive-produce and star in a fourth-rate fumble like DON MC KAY in order to come up with a decent role? If so, we're all -- actors, audiences, moviemakers -- in bigger trouble than I imagined. This sorry excuse for a comedy/thriller is plain woeful -- a shaggy dog story that goes on and on until you discover that you'd figured it out early on but decided -- no, it couldn't be that simple-minded and ridiculous. It could and it is. You will have to not simply suspend your disbelief but knock it senseless and then bury it twice to get through this movie with your brain still alert. 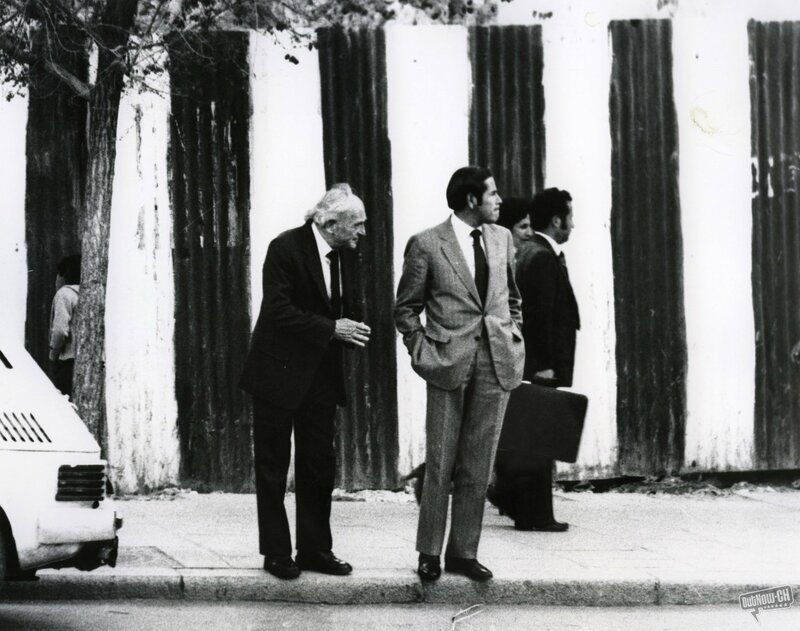 What could first-time filmmaker Jake Goldberger (shown at left) have been thinking? According to the press kit, he had been inspired by the Cohen Bros' Blood Simple when he sat down to write his script. Yet his plot is so far-fetched and full of meaningless twists and turns that -- after only a couple of these -- his title character, played by Mr. Church, should walk away the first chance he gets. But no, he stays and plays. And when, toward the final moments we learn the reason for this, McKay's three-word answer is even more difficult to accept. As Goldberger's reversals and "surprises" (not to mention the several corpses) pile up during the finale, they smack, not of fun, thrills or shocks but rather of desperation. Should you plan to meet Don McKay, I shan't ruin anything for you, story or spoiler-wise. (The movie itself will take care of that.) Instead let's look at some of the riches gone to waste. In addition to Church (above, right), who was so good in Sideways, Spanglish and Idiocracy, we have Elisabeth Shue (above, left, and at bottom) and Melissa Leo (below), both Oscar nominees in search of decent roles (Ms Leo has done better on this score than has Ms Shue). 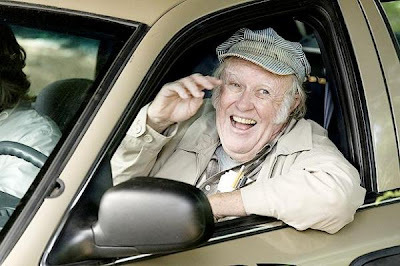 The supporting cast is led by the always up-to-snuff James Rebhorn and there are terrific turns from Pruit Tayor Vince, Keith David and particularly M. Emmet Walsh, shown below, as an ubiquitous cabbie. You could not ask for a better ensemble, and indeed, each member does everything possible to bring the movie home. To little avail. The blame, and I don't like dumping on first-time filmmakers, must be laid at the feet of Mr. Goldberger, less I think for his directing -- which is rather staid and by-the-numbers but serviceable -- than for his writing. This silly story and script was his baby and it does not for a moment hold water as a thriller, comedy, film noir, romance, character study -- or any possible mash-up of the above genres. We've got to care a bit about about the characters on view for a movie to engage us on a romantic/comedic level, and we've got to believe it, at least somewhat, for it to kick in on the mystery/thriller level. None of this happens with Don McKay. Even Mr. Church's title character fails finally to engage: Is he maybe "simple," we begin to wonder? I'll hope to see something again soon from Mr. Goldberger, toward which I will be better disposed. Meanwhile, Don McKay opens Friday, April 2, in three major areas: Boston (it was filmed in Massachusetts), Los Angeles and New York City. Click here for cities, theaters and ticket purchases. times as a series of sovereign states, as a single independent entity or as a mountain mass and its people controlled by China -- the last of which has been the case for more than 50 years, since the abdication to the north Indian city of Dharamsala by the Dali Lama and many of his followers. 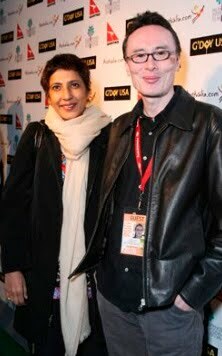 Written and co-directed by Tenzing Sonam (shown above, right, with his co-director Ritu Sarin), the documentary, while it does not dazzle with its style nor offer dolphin slaughter, Pentagon Paper mischief nor worldwide eating disorders, does manage to fill us in with what has happened of late regarding His Holiness and his former homeland. 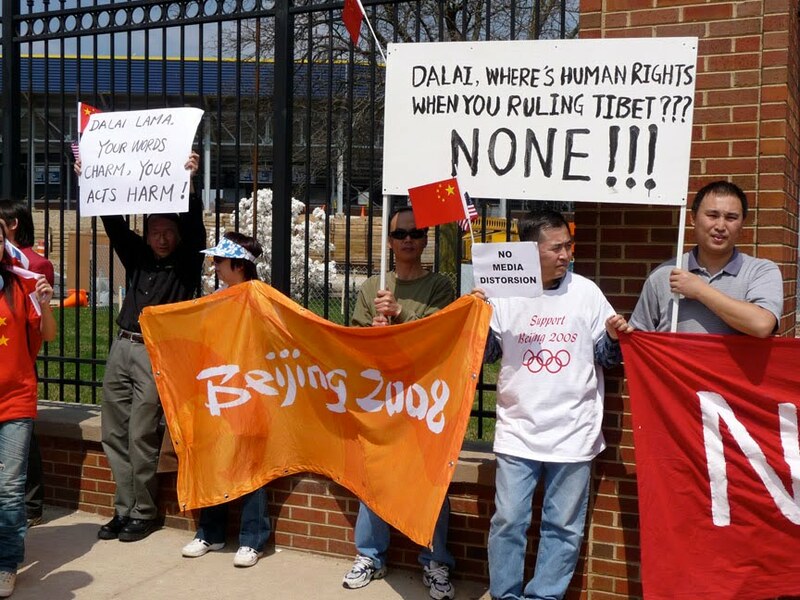 Most of us, if we've paid the slightest attention to the Tibetan cause over the last decade, will have noticed protests -- especially those that surfaced around the time that Chinese hosted the Olympics Games. Sarin and Sonam take us into and beyond all this to discover that, even among Tibetans (let alone the Chinese) there is great disagreement as to what is needed and how to achieve it. For instance, does "The Middle Way" mean anything to you? It will, once you've viewed Sun/Clouds. It is the more or less middle-ground-approach between actual Tibetan nationhood and what the Chinese now allow, and it is the path preferred by His Holiness. 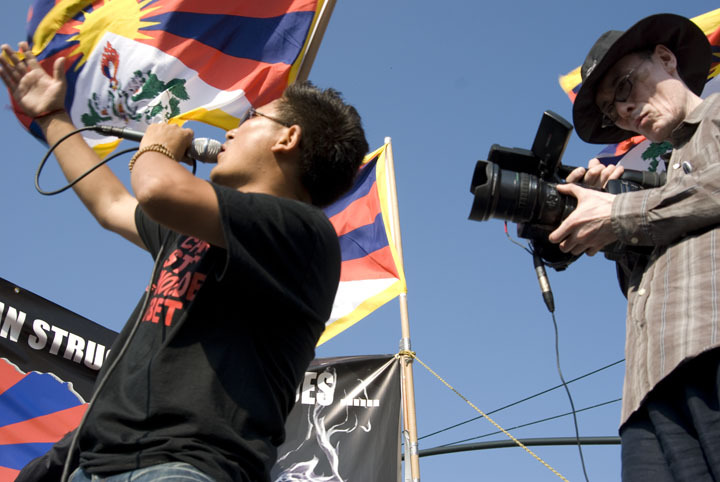 Not that China will go a step further toward Tibetan autonomy. 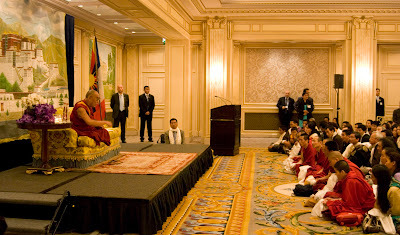 Its leaders refuse to meet with the Tibetan power brokers. Then they will. But then they cancel. Finally they appear to defer (in what looks awfully like a PR scheme in preparation for those Olympic games) but nothing comes of this, either. Meanwhile, Tibetan activists (above) are on the move, marching in a very long line from India toward the border of Tibet. Along the way, they are stopped, first by Indian police, then allowed to continue. We see and hear from various historians, poets and protesters, all of whom make perfect sense. 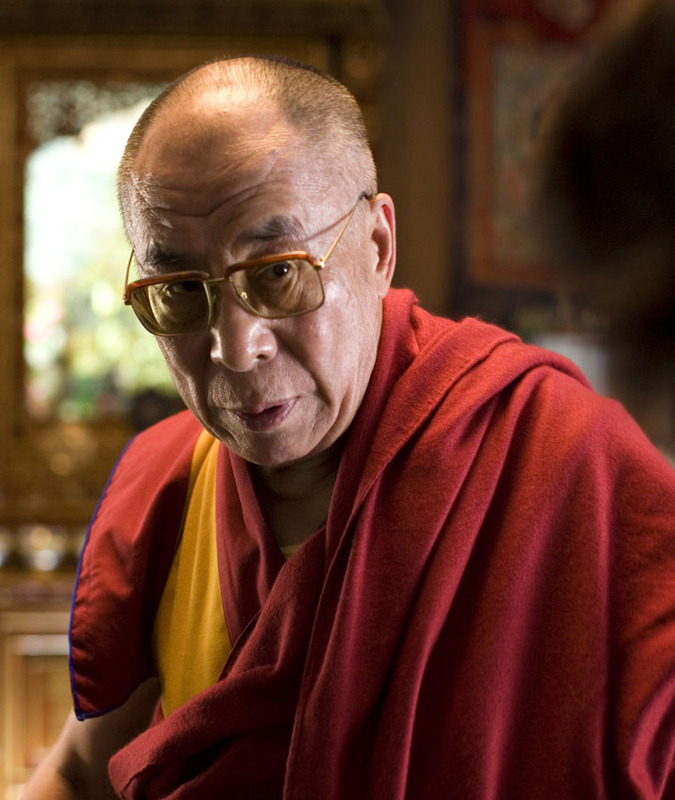 Yet the Dali Lama, looking and acting a bit like Bartleby, would prefer not to. I do not know that this is intentional on the filmmakers' part, but the scene between His Holiness and Prince Charles of England looks an awfully lot like a meeting between two pieces of pampered royalty. Well, the guys can't help it: Both have been bred to this, have they not? 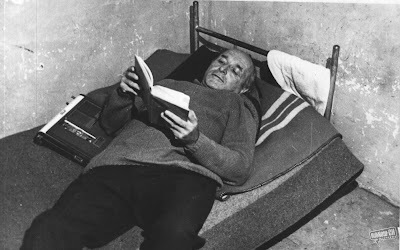 In any case, the most important point may be, as one of the many intelligent people interviewed here points out, "Devotion to his Holiness clouds any kind of political realism." Yup: faith'll do that. 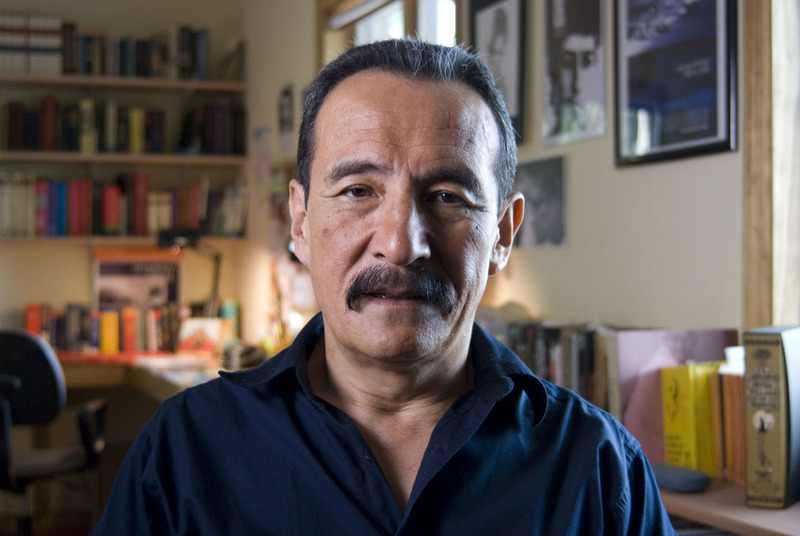 We get some Tibetan history along the way (some of which comes from Tibetan historian/activist/writer, Jamyang Norbu, shown above), particularly that of the last few years, during which China seems to have deliberately encouraged its own citizens to colonize the area. 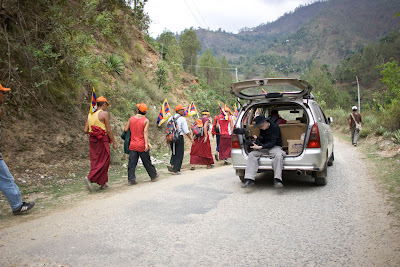 Another interviewee (Lhasang Tsering, a writer and independence activist based in Dharamsala) tells us that the fate of his people will eventually be that of the American Indian or Australian Aborigine: Tibetans as a separate people will no longer exit. That's a bit of a leap, as we pretty much slaughtered, starved and finally reservation-ized most of our Indian population, and Australia did the same to its indigenous population. The fate of the New Zealand Maoris would seem to be closer to the mark: assimilation and intermarriage until there are few full-blooded Maoris (or in this case, Tibetans) remaining. For its part, the Chinese people, patriotic to a fault, protest (see above) the Tibetans' protests, whenever possible, with what seems to be to be the usual lies from the usual suspects. Where human rights are concerned -- whether these have to do with Chinese citizens thrown from their homes to construct the Three Gorges Dam, the Tibetan people, or the rights of anyone in China to surf the web for information -- this giant country is simply not to be trusted -- and certainly remains among the least nations on earth fit to cast stones. (I say this knowing damn well that the USA is first in this regard.) It was the showing of The Sun Behind the Clouds at the recent Palm Springs International Film Festival, in fact, that led China to pull all screenings of its two films scheduled to be shown -- one of which was slated to open the festival. Let's hear it for freedom of film (or freedom of anything), China! So where does that leave Tibet? 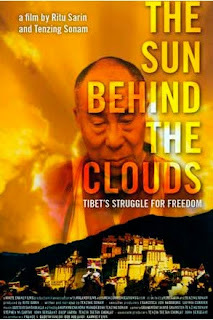 Right where it is, it would seem, although Sun/Clouds does indicate a growing force of Tibetan activists both inside and outside of China that could, eventually, make a difference. Somehow, though, Trust Movies suspects that he will not be alive to witness the reformation. The Sun Behind the Clouds opens Wednesday, March 31, at NYC's Film Forum. Times and ticket info can be found here. 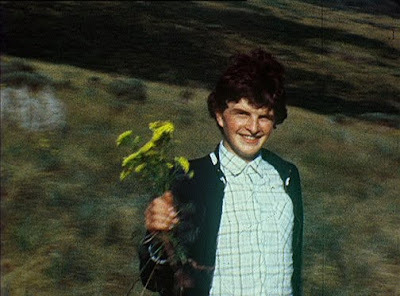 Future (and past) screenings of the film can be accessed here. This coming month will see a one-week run of the film at the SIFF Cinema in Seattle, from April 16 to 22.
ding disbelief as much as it is feeling that you simply don't have enough information to either accept or reject what is happening. wood handling -- independent-style, of course -- regarding this very tricky subject, and you'll want to see your pre-conceptions carried out. 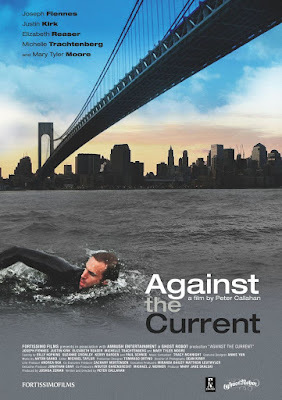 The press notes for Against the Current state that it is based on a true story, though the movie itself says no such thing. If it is, fine; it not, that's OK, too, because Callahan's handling of his story finds its own truth -- and plenty of it -- which is what movies are for, right? It is specific and honest enough that I believe you will go with it and be moved, amused and perhaps shaken. 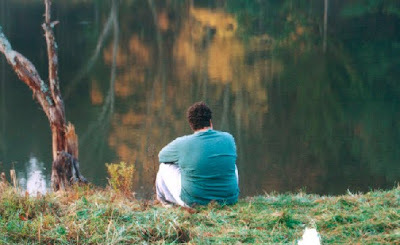 The filmmaker has managed a very quiet film, in which the characters do little but watch and talk, while one of them swims. Yet the reality of the situation slowly grows -- on them and on us. A side trip to the home of one character's mother provides a needed respite, some brittle conversation and finally a necessary closeness that then carries us to the conclusion. 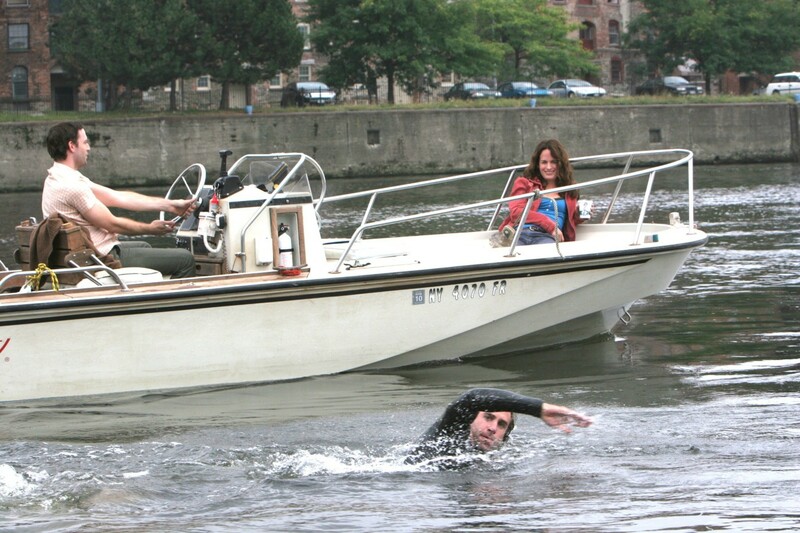 The three lead performers could hardly be better: Joseph Fiennes (from Shakespeare in Love), shown on the poster at top and two photos above, as the swimmer; Justin Kirk (from Flannel Pajamas), above left, as his best and nearly life-long friend; and Elisabeth Reaser , above, right, (from Puccini for Beginners and Sweet Land) as the interesting third wheel. Although Ms Reaser's character is initially the most difficult to countenance, it is she who finally provides the cement that glues the film together. This actress is really one of our best currently at work, radiating intelligence and beauty, and when necessary, grit, charm and whatever else is called for. Kirk and Fiennes work off each other beautifully: You feel the bond between them and so, when words fail, that's quite all right. Mary Tyler Moore (above, right, with Fiennes and Reaser) and Michelle Trachtenberg (below left, with Fiennes) from Beautiful Ohio, offer nice supporting moments, but the movie belongs to Callahan and his three leads. If I am being deliberately evasive regarding the theme here, this is necessary to allow you your own surprise and coming to terms with what is going on. By the moving conclusion, I think you'll agree that the film has indeed found its sea legs -- as has, in his own way, our "hero." 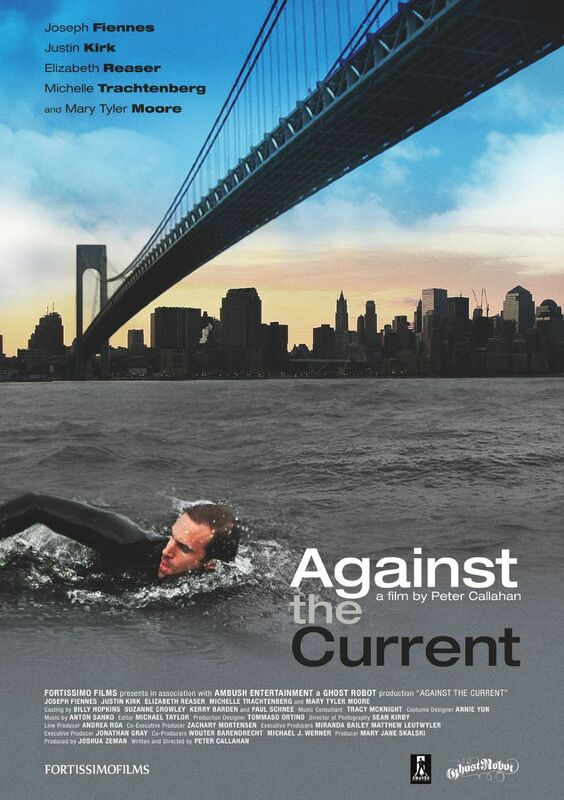 Against the Current, via Sundance Selects, premiered On-Demand this past week and will continued to be available from most TV reception providers for the next two to three months. Click here to find out if yours offer it and how to get it. Is it time to call a moratorium on movies featuring any virus that turns its host into a blood-sucking, organ-eating lunatic? 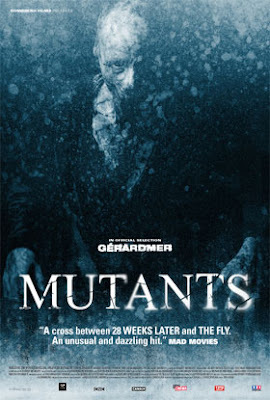 I say yes, and I say that on the basis of a seemingly never-ending flow of Zombie movies, the latest of which is MUTANTS, a (relatively) new On-Demand offering purporting to give us something unusual. But, really: other than the setting (here it's an abandoned hospital somewhere in the snowy mountains of France) and the time it takes the virus to go into action, what is really different or even interesting about most of these films? Not much. They're exist for their guts 'n gore but little more. Directed and co-written (with Louis-Paul Desanges) by David Morlet, shown at right, Mutants is his first full-length film and in some ways it is impressive. Initially, it appears a fast-paced, small-cast action/suspense film with -- yet again -- a virus turning all humanity into zombies. In recent films such as REC (and its American remake Quarantine) or 28 Weeks Later, viral reaction time is fast (in the latter film, so are the zombies), but Mutants takes it slow and easy, giving us time to get to acquainted with our hero and heroine, as well as with a few interlopers who pop up to keep the movie going (plot is not its strong suit). Unfortunately, despite decent acting from the leads, there ain't much here to know. Some excellent cadaver prosthetics grace the proceedings -- yuuuch! 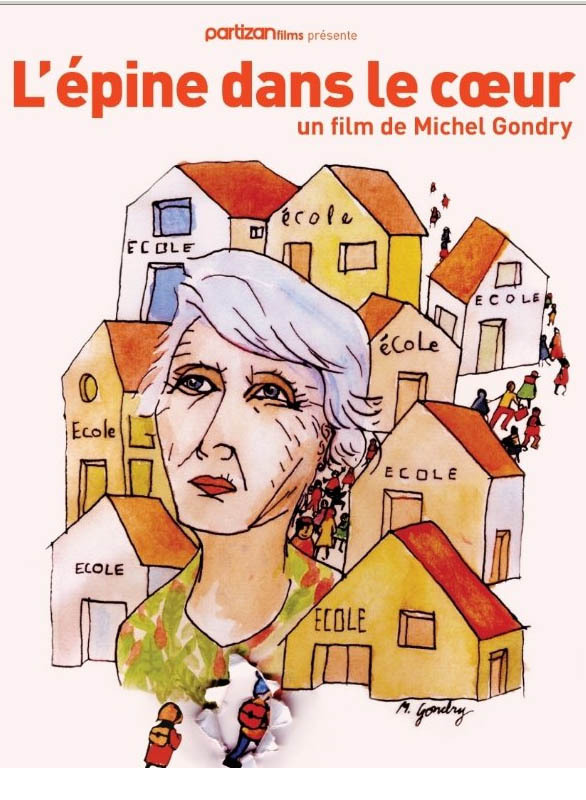 -- and that French actress with the beauty mark Hélène de Fougerolles (above, right) carries much of the performing duties on her slim shoulders as a medical worker. 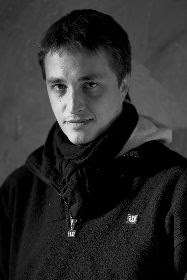 In the role of her boyfriend and co-worker, Francis Renaud (above, left -- who was so good in the still-awaiting-US-theatrical-release Queen to Play) is virile and hunky but is not given the opportunity to do much else (and it must be awfully difficult to "act" under plastic prosthetics). Far too much dialog is of the "You're going to be OK!" variety (this pops up soon after we know that the character certainly will not be). "Kill me," he says. She won't. Knowing some medicine, she tries various modes of cure, but mostly these are just vamping until the inevitable arrives. Since, having seen so many zombie movies, we already know all this, the going does get grueling. And the cinematography, which favors the usual drained-of-most-color palette shown in the stills above and below, quickly begins to bore. her tiresome zombie movie that is also, given its genre and thin plot, at least 15 minutes too long. 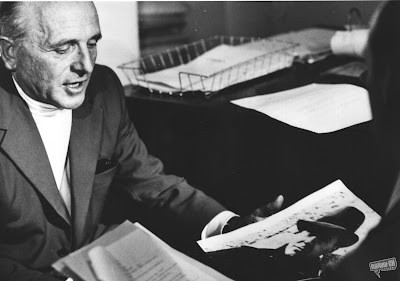 Writer/director Macdonald (shown at right), who also directed State of Play and The Last King of Scotland, actually completed this smart, swift documentary in the year between those two movies, but it has taken until now for any distributor to step up to the plate. Even so, the film is available only On-Demand at this point, via Sundance Selects, though one hopes a DVD is in the offing. Via a number of talking heads, the filmmaker tracks Barbie's checkered early history (that's him in uniform at right), the behavior that led to his nickname of The Butcher of Lyon, and then digs into the history of the immediately-post-WWII years when M. Barbie worked for us and was stationed here in the USA. When word of this began leaking, off he went to South America, setting up shop in Bolivia, where he remained for some years. The meat of Macdonald's movie entails the Bolivia period, and damn fascinating it is -- from the people who knew and worked with the man, to the neo-Nazi camp he tried to set up in the Andes, to the surprise (to him, at least) extradition back to France, complete with weird stopover during which his Bolivian pilots had to be bribed to let their passenger go. 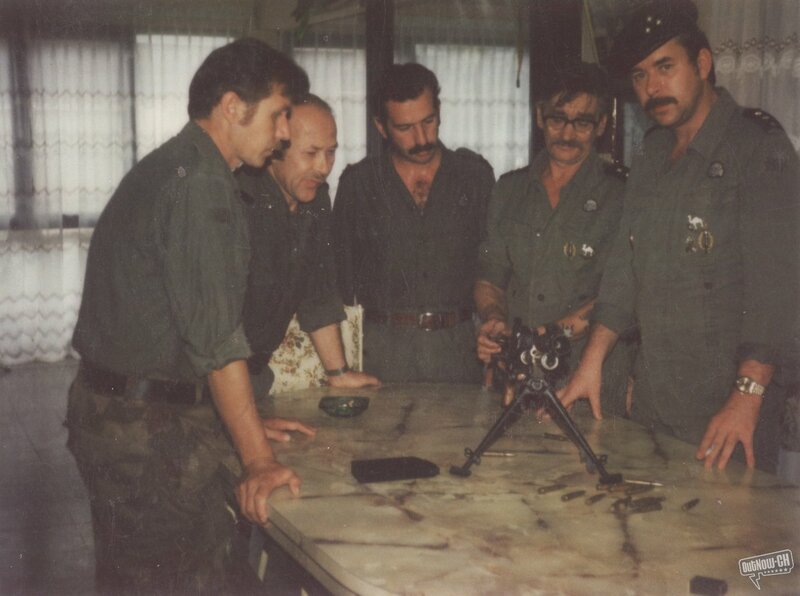 We witness the testimony of Bolivian unionists and a school teacher about Barbie's training of the right-wing Bolivian police (above) in the ways of torture; the dirty dealings of a number of people and countries during the time that France tried to get Barbie back in its clutches; and then the hue and cry during Klaus' trial, during which there were any number of protesters, agitating for the man's release. One of these is asked why he claims that Barbie committed no crimes against humanity: What about the deportation of all those Jews during the war? The fellow gives his questioner a small but quite shocking smile, as though that fact could hardly be called a crime against humanity -- and suddenly Anti-Semitism is front and center all over again. 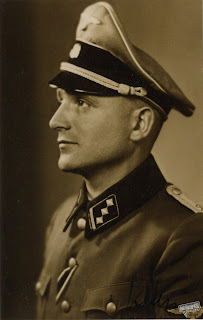 Macdonald's documentary brings up any number of important topics, first among them the responsibility of so many people and governments in allowing Nazi war criminals to prosper, post-war. For those who know their history, even glancingly, there will be fewer surprises here, though even we need the occasional kick-in-the-pants reminder of why morality and justice still count for something -- less and less true though this may seem with each passing year. 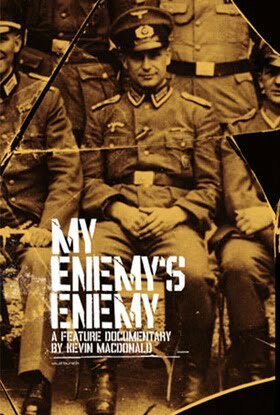 You can find My Enemy's Enemy via Sundance Selects On-Demand, available from most major TV-reception providers. Click here for the where and how. ation that made the experience one-of-a-kind. 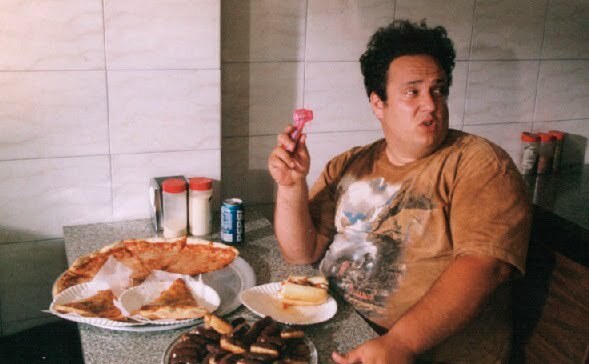 An odd combination of narrative and documentary (the latter captures the actual weight loss of its leading man), Lbs tracks a very chubby Neil Perota (played by Carmine Famiglietti) as he interacts with family, friends -- and food. When a life-changing event happens, change piles upon change and we are thrown, like our hero, into a very strange world that only grows stranger as even more change occurs. Directed and co-written (with Famiglietti, who also produced) by Matthew Bonifacio, shown at right, whose first full-length film this was, the movie is rough as hell in many aspects, starting with its homemade look. The director had little film experience at this point (see interview below), though he and his star went on to make the interesting and more sophisticated film-wise Amexicano. Fortunately, with Lbs, Bonifacio went after truth-of-performance above everything else, and this paid off in a kind of honesty and moment-to-moment realism that is difficult to fake, despite a sometimes choppy mise-en-scene and screenplay. pathy. Consequently, he get ours, along with occasional annoyance and surprise. One of the film's best and most difficult scenes takes place in a restaurant on a date, as the "new" Neil talks with a young woman he's longed to know better and now finally can. Bonifacio was an actor before all else, and he has cast his film with some very good people: the versatile Michael Aronov (above) as Neil's coke-addicted best pal; Susan Varon as his mother, Fil Formicola as his dad and Sharon Angela (in wedding dress two photos below) as his sister; and especially Miriam Shor (below) as a young woman Neil meets upstate. Because the movie was filmed over a 27-month period, the cast had to make itself available, complete with the right appearance and emotional state, throughout. I'd guess that Lbs proved a labor of love for more than just its star and director. What is best about the movie, however, is its refusal to preach. Or to make anything seem easy. The weight is difficult; the situation is difficult; how these impact all the other characters makes for more difficulty. Through it all, Famiglietti's Neil soldiers on, taking us with him and showing us the pain, gain and loss (in both good and bad ways) of this journey that is both personal and universal. 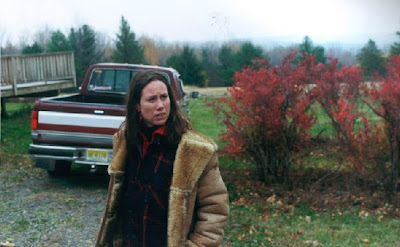 Making its debut at the Sundance Film Festival in 2005, the film has taken five years to reach even limited theatrical distribution (see interviews below for some of the reasons), but at least it is here. Last December, during the Film Society of Lincoln Center Spanish Cinema Now series, another film about weight and self-image -- Gordos -- made its American debut. What a double-bill these two movies would make! Gordos comes at its topic from all angles and a raft of characters, at last zeroing in on the key. Lbs starts small, slowly expanding outward, even as our hero reduces, to reach the same important conclusion. I don't know when, if ever, Gordos will see a theatrical release herein the US. For now, we've got Lbs. It's a thoughtful antidote to much of the simple-minded weight-loss blather we're bombarded with daily. Don't let this one pass you by. Distributed by Truly Indie, Lbs opens Friday, March 26, at the Village East Cinema in New York City; on April 9 in Boston, at Landmark Theatres' Kendall Square Cinema; on April 23 in Minneapolis at Landmark Theatres' Lagoon Cinema; and on May 7 in Washington DC at Landmark Theatres' E Street Cinema. Note: Carmine tells me that he pronounces his last name with a hard “g” sound, rather than in the Italian manner – fah-mee-lee-etty – in order that people will spell it correctly. This movie is so personal that it was sometimes hard to watch. That’s what we set out to do. There are all kinds of reasons when you set out to make a movie. With us, one of these was definitely to make a movie that defined what we considered eating disorders. 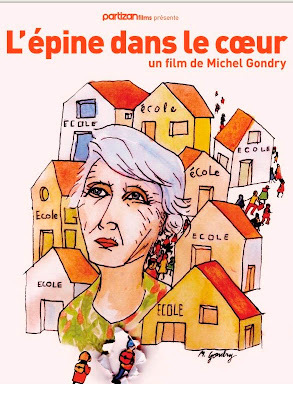 Did you happen to see the Spanish film Gordos, which was shown at the FSLC’s Spanish Cinema Now festival last December? I think I heard about that movie, but I didn’t see it. Gordos tackles the similar subject but its canvas (and budget) is huge next to your film—in which you whittle everything down to the very personal, just your one single story. True. And Lbs is just one story. I particularly liked the scene in which you and your friend Sacco trade ideas about addiction—yours to food, his to coke. It can be any kind addiction or flaw. I’m not educated enough to know if you can really have an addiction to food. But it feels like I do have one. And I don’t like it, either. It robs me of so many things I’ve wanted: girls I wanted to date, and acting jobs! It’s awful, when hundreds of people are looking at you, say at an amusement park and they won’t let you get on the ride. It’s really embarrassing. That’s happened to me. We had that scene in the film, too, but we couldn’t fit it into the final film, so we’ll probably have it as a DVD extra. Do you still go up and down noticeably in your weight? Oh, sure. People talk about how they fluctuate by ten pounds. Well, the highest I’ve been is 385 lbs and the lowest is 185. Whew! 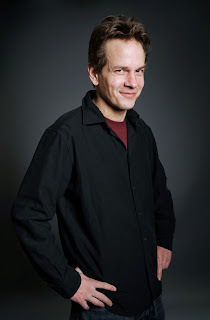 How long have your director Matthew and you known each other -- and how did you meet? Wow—so almost 20 years! How long did it take you to film Lbs overall? We began in June of 2001 and finished in September of 2003: 27 months, and then we premiered at the 2004 Sundance. So why are we are only seeing the movie now? What happened was that the first year went by with us looking at one deal and then saying no, and then at another, then another and another. Then we were at the end of 2004, about ten months after Sundance, with what we thought was a good deal in place. Then that deal fell through. And there’s no ill will, either. It just didn’t work out. Can you talk about how and why all this happened? People wanted to release Lbs, but they also wanted control the movie. You mean make changes to the movie? Yes: Make changes, but also, then it became clear that they didn’t have the money to properly distribute the movie – only the expertise. So then the deal wasn’t so attractive. But I have to say that the distributor made incredible efforts to raise the money but it didn’t work out. I guess things can change: I noticed recently that Maya Entertainment, the company that released your next film, Amexicano, has changed from distributing Hispanic-oriented movies to something quite different now. Yeah: One of the amazing things about our country is there is this tendency to believe that when immigrants come here, we think that America as a whole is going to become more like them. But no: they actually become more Americanized. My old neighborhood is mostly Korean. But ten years later those Koreans are as American as we are. It takes a generation. How hard was making Lbs for you – I mean, to dwell on the subject and get into something this personal? Did you find yourself using the making of the film as a kind of therapy? I did. And it worked! But it’s no surprise that the minute the film was over, I began to struggle all over again. 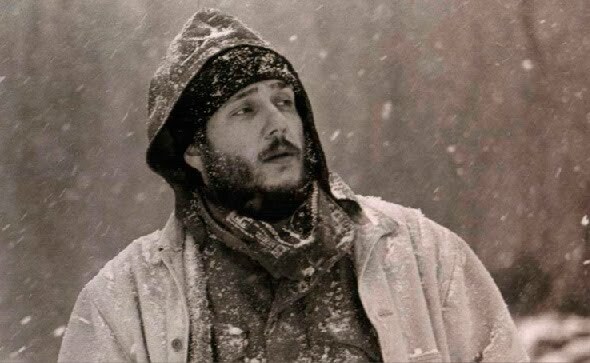 By the time we got to Sundance, I had gained 40 pounds back. There was something about the structure of the filmmaking that had a strong impact on what I ate, and how I ate, and how I exercised. Even with the prospects of more acting work -- and I’d be getting more work if I were thinner -- I still put the weight back on. Casting directors never can know what I might weigh, because I bounce around so much—it’s like I need a new head shot every month. I wake up every single day with good intentions, though. I never give up. I found that it’s about a 30 day period. If I can keep it up for 30 days, then I can keep it up longer and more easily. Now, with the film opening in Boston and all over, it should be easier for me. But I am still struggling. I’d love to be on Oprah. But with my going up and down all the time, this is not what audiences necessarily want to see. With the movie, I had something I liked just as much as food. That was making the movie. And though I had a dual passion, the movie always won out. But after it was over, the food came back. 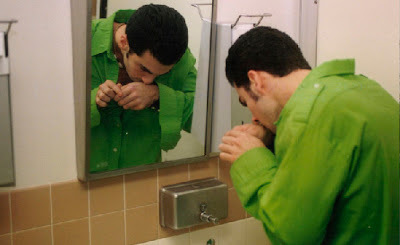 How do you feel now about self-help groups like Over-eaters Anonymous and its like? I think it’s different strokes for different folks. That is never been something I’ve been into. I don’t like talking about it in a group. I don’t want advice. I know what I am supposed to eat and what exercises I should be doing. The whole point is: Don’t quit on yourself. Keep going -- even though you will have setbacks and false starts. While I’ve got you, is there anything else you want to say? You know what? I think the reason we’re doing these four cities – we’re opening in New York, Bopston Minneapolis and Washington DC -- what we need is what Oprah and Tyler Perry did for Precious. I know somewhere out there, there is someone like these two who will see Lbs and want to grab it and push it. We have a great team in place. And we’re hoping somewhere in these four cities we’ll meet someone who will want to -- and can -- put the movie on more screens. And one more thing: I feel that what my character is saying to audiences is this: If you don’t deal with childhood obesity early on, then you will probably have to deal with it for the rest of your life. But don’t come off as a sad sack about it all. I am fighter and you have to be, too. Oh – and if I could pick one person to show the film to, it would probably be our First Lady, Michelle Obama. Immediately after our conversation with Carmine Famiglietti we spoke with the Lbs director Matthew Bonifacio, to whom I mention what a nice, and very real, guy Carmine seems. Yeah -- Carmine is very humble, genuine guy. The way he talks to you is the way he talks to his parents and me and all his friend. He uses a lot of self-deprecating humor. Can you tell me something about how it was to film Lbs? 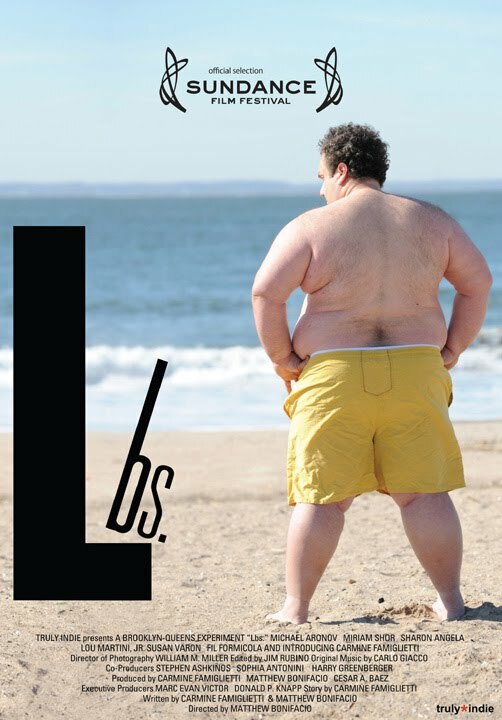 Lbs was my first movie. I never went to film school. Instead, I got some film books and just read them. I just started educating myself. I’d been acting for many years off-off Broadway, so I felt confident going into Lbs that I could get good performances from my cast. Thanks. The movie was shot over 27 months, in conjunction with Carmine's weight loss and raising the money. But it was always about the performances -- never about me or the camera. I didn’t want to concentrate of visuals and camera tricks so much, but rather on the actors. Lbs has such raw energy to it. A lot of spontaneous elements came out of it. Later, filming Amexicano, I really made an effort to make that one more visually-oriented. With Lbs, I didn’t want to be influenced too much by outside forces, camera shots, etc. 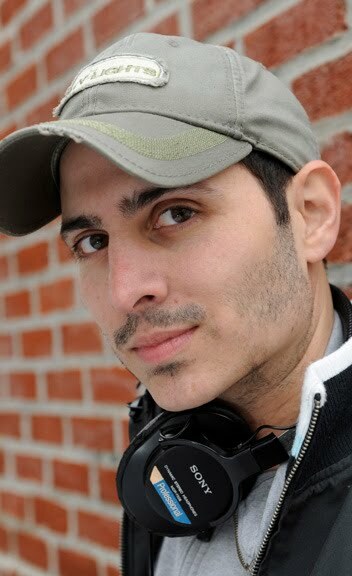 Instead, I wanted to eavesdrop into Carmine’s world. So I didn’t even want to move the camera unnecessarily. How hard was this to dwell on Carmine and his weight and get into something this personal? It was easy, really, because we had known each other, by that time, over ten years. I had seen him down to 175 and up close to 400 lbs. Did you have to natter away at him to lose weight? No. And I didn’t ask his family to get in on it, either. I took the approach that I am on board to make this movie and to help save his life. During the shoot, crew members would sometimes call me up and tell me, “I saw Carmine the other day, and he has not lost the weight.” I’d say, “Never mind: He will be there for the deadline.” And sure enough , when that deadline came, the weight was off. He trusts me as a director, and I trust he him as an actor. That was always established. 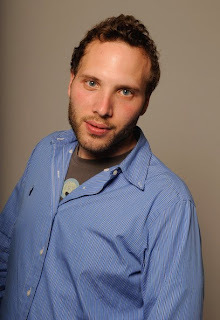 We didn’t hire a casting director. 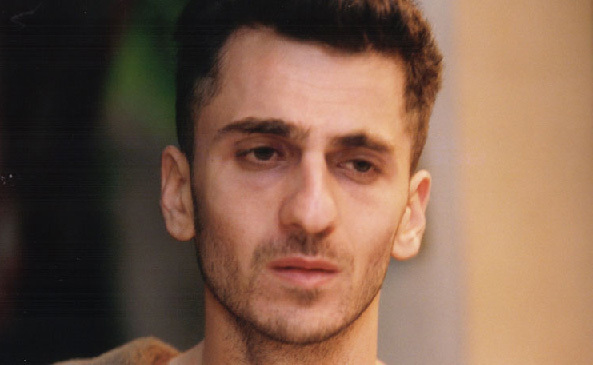 .Being a former actor, I cast many of the actors I has already worked with – like Michael Aronov. God, he is wonderful – and versatile. He was so good in Amexicano, too. Exactly. I knew what I was getting and I knew the strengths and weaknesses of these people. We had staged readings, too, so we could get the feel of things. And then Michael Aronov brought in Miriam Shor, who plays the girlfriend upstate. Susan Varon plays mother and Fil Formicola is the father. Fil’s been working forever. I think it’s important that this film started out as something that might save Carmine’s life. Once we saw the footage, we felt we had captured something special. And audiences at Sundance and since then seem to feel this, too. 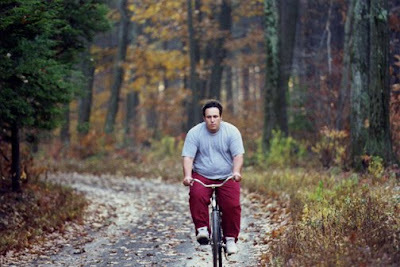 This is a film about an over-weight guy who takes responsibility for himself. He doesn’t blame others. I am really proud of this film and of the commitment of all the actors and crew who kept coming back and back to it -- after 27 months! This should not go unnoticed. It’s really hard to do when you are shooting linear, like this. I’ll probably never have a chance to have something like this happen again. On that note, what is next for you? I have a few projects is various stages of development. Two of these I’m attached as director, and another as writer/director. I hope to get one or another off the ground this year -- or next. Amexicano has been performing well, too. Well over 16,000 people have seen it via Netflix’s DVD and streaming facility and have rated it three-and-one-half stars. We thank Carmine and Matthew for their time and wish them very well for the success of Lbs.